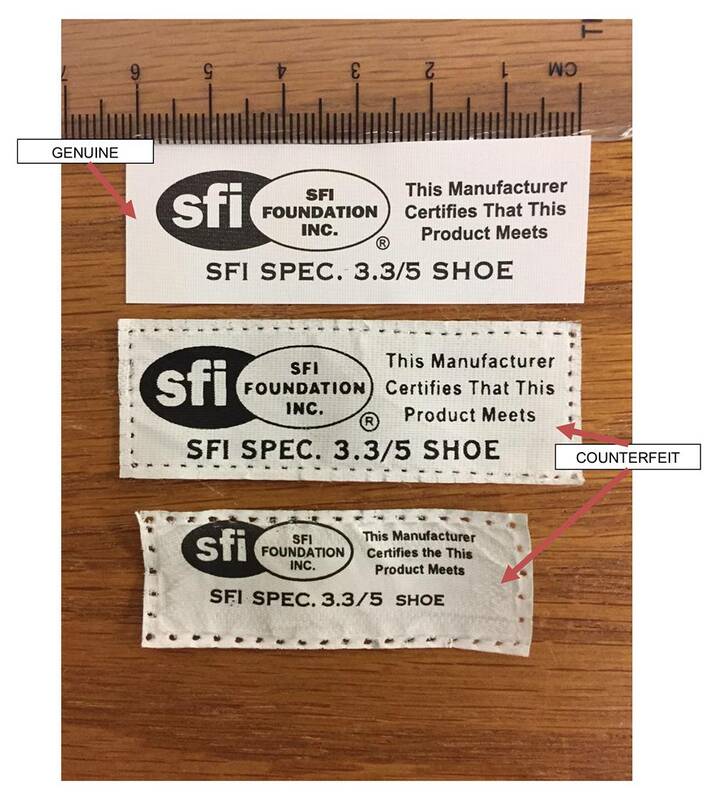 The photos below are examples i of counterfeit SFI conformance labels attached to shoes and driver suits fraudulently represented as being certified to SFI specifications. These were found on non-major brand equipment utilizing off-shore 3rd party manufacturers. Please compare the certification labels on your shoes and suits against the photographs below. Take note in the difference in fonts on the shoe labels, there is an incorrect word on one of the shoe labels. In addition to the difference in the quality of embroidery, the reverse side of the counterfeit suit labels has a felt covering that is not present on the genuine label. There are also label security measures which are not visible in a photograph. 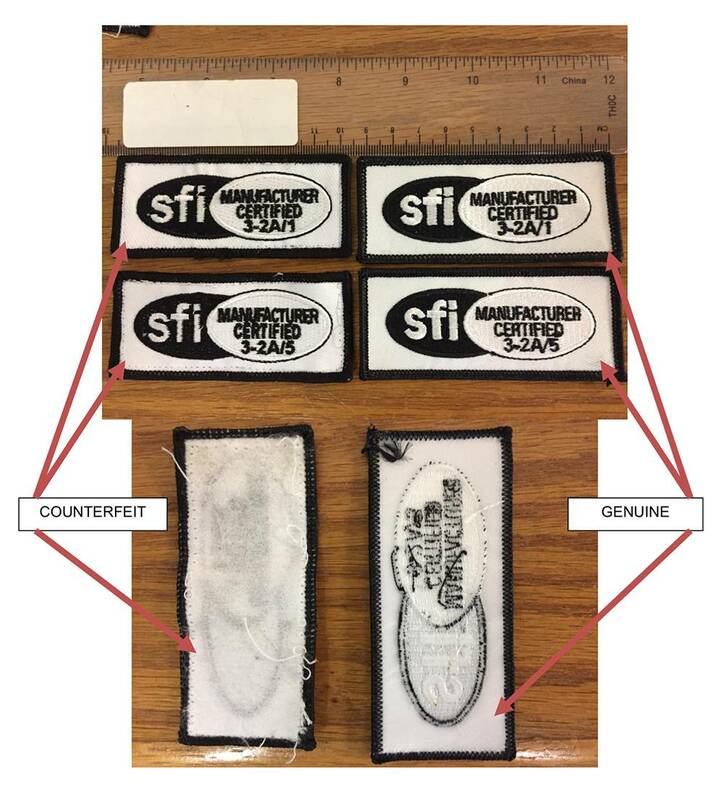 Please contact the SFI Foundation if you suspect fraud or counterfeit items.